Sébastien was born naked and game-less in 1973. In high school, he discovered “Advanced Dungeons & Dragons” and was in love for the first time! RPGs being the center of attention for a long period of time, board games were a kind of temporary solution whenever the whole RPG group was not available. For a few years he also was an avid “Warhammer 40K” player and painter. As he and his RPG group grew older, it became harder and harder to meet on a regular basis and have some type of continuous RPG campaign going. When he received his first Kickstarter, “Zombicide Black Plague,” everything changed. 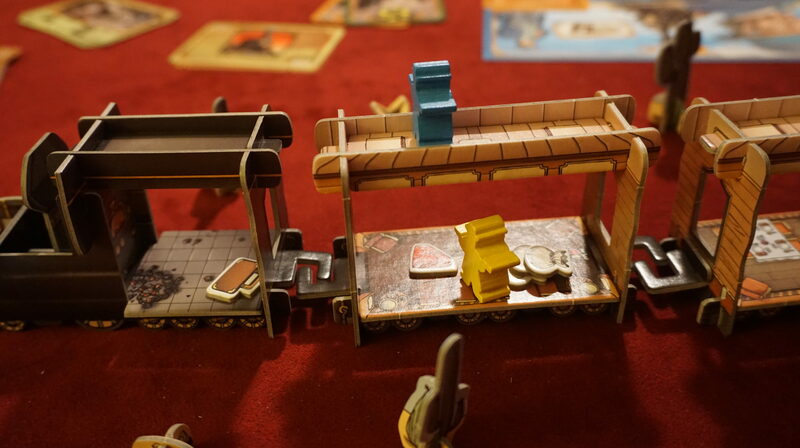 That game, although not the best around, caused some kind of profound change to his views of board gaming as hobby. Not only did it make him feel like he playing D&D again but it had another powerful incentive: it could be played solo. Sébastien always refrained from buying too many board games because he felt it would be tough to recoup his investment. How could he justify buying a $50 – $80 game if you only play it 3-4 times per year? Solo board games (that could also be played with a group) were THE solution. Board games have since then become the most important one of his hobbies and his game library is now highly oriented toward games that offer an official solo version. He hates having to watch a 30 minute video to understand what someone thinks of a game. He naturally looked for short written reviews and offered to collaborate to this website. And we’re very excited to have him!